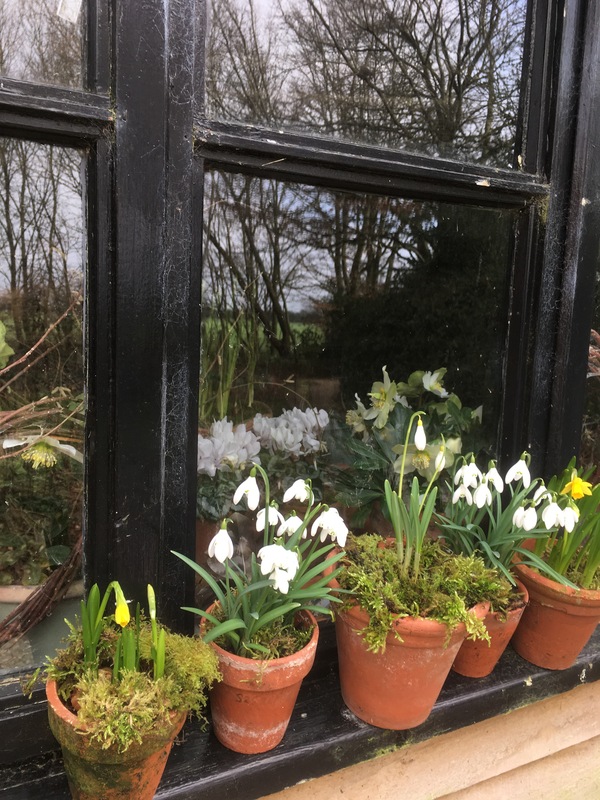 Out of my pottingshed- again ….. Regular readers will know, I live a peaceful life. I’m happiest in my potting shed. I work as a garden designer so most days are spent with plants. It doesn’t sound exciting, but it suits my nature, and I’m happy. I’m always surprised when opportunities come along- taking me out of my comfort zone. I’m even more surprised at myself when I say yes! Two years ago, out of the blue, a producer from BBC local radio phoned and asked me to talk about work. I’d designed some school gardens and was working with a charity to create a garden for disabled children. A week later I found myself at the studios of BBC Radio Leicester, chatting on the Ben Jackson afternoon show. There were a few moments of panic when I learned it would be live- and I’d have to talk for an hour. But luckily- being radio- no one could see my knees shaking. Despite feeling like a fish out of water, and going completely blank, I survived the ordeal. And then I was really amazed when they asked me to join the gardeners question time team on Radio Leicester’s Down to Earth programme. I am more of a listener than a talker, but it’s a lot of fun. There’s laughter and support from the more experienced members on the team. I’m telling you this to encourage you to ring up your local radio station and tell them about YOUR work- whatever it is. They have space to fill- every day! And they want to hear from you. It doesn’t have to be work. It can be a hobby. Or you might want to promote an event, or perhaps open gardens. It’s an opportunity you might not have thought about. And a little gentle encouragement might be all you need…..
Be brave- and remember, If I can do it, so can you. And you never know where it might lead. 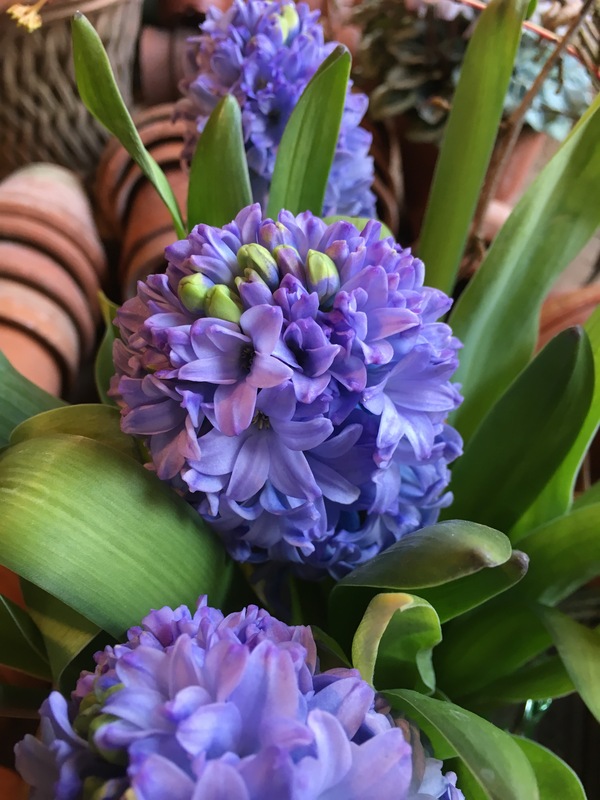 This week I went along to the Garden Press Event in London to report on the latest plants, seeds and growing techniques. I’ll share a link to the programme when it’s out on the BBC website. And more photos next time. Ring up- and please let me know how you get on. Pottingshed shed window. I have to really tear myself away from my garden. The flowers look so beautiful! I was out yesterday and noticed the smallest tips of daffy’s starting in my yard. I can’t wait for spring! Really well done Karen, I can imagine how challenging and then rewarding that would be, I hope all goes well with future shows! Oh, well done Karen an d how exiting to hear of your continued media success. 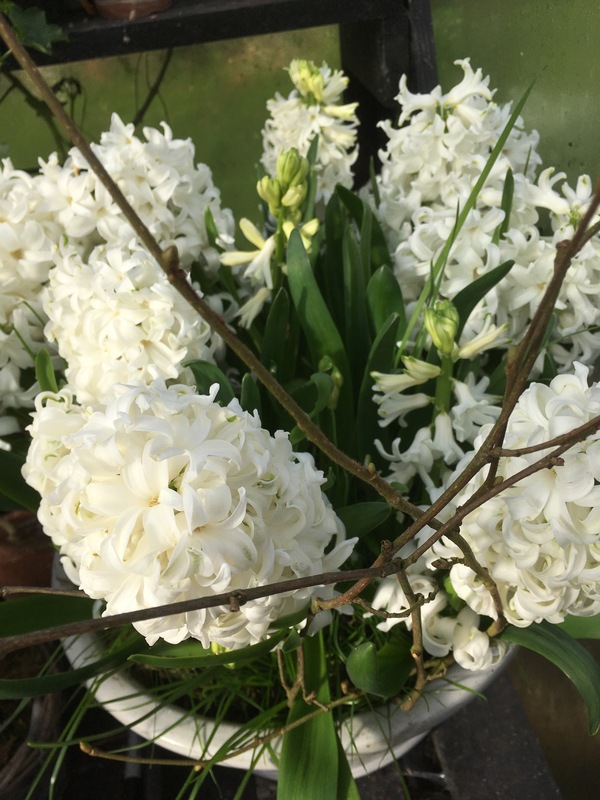 I’m sure your story will both encourage and inspire lots of people who would like to publicise their work or open garden to have the confidence to approach their local radio stations. The garden continues to do really well, thanks Karen. The garden is feature in RHS The Garden next year, so we’re thrilled! Karen, I wouldn’t dare offer my restricted knowledge on plotting anything in a garden. There are so many talented amateur gardeners within reach whose gardens are a learning experience in themselves. I am content to derive ideas, like many people do. I don’t lead in pottering around in a garden. I wish you more plant nurturing power to your elbow! BBC Hereford And Worcester radio have a regular gardening programme which provides answers to listeners questions, promotes local gardening club events and open gardens. Good luck with your contributions. That’s what it’s all about… encouraging people to have a go at gardening. I recently met someone who said they’d love to grow vegetables and herbs, but didn’t know where to start, which composts to buy, or which plants to combine. They had tried in the past and failed, and it had put them off. Good for you for doing your bit to encourage gardeners. I’m all for it. Thanks for taking the time to read and reply. As always, it’s much appreciated. Little pots of loveliness! It was fab to see you doing your radio reporting at the Press Event! A most inspiring post. Well done for embracing something outside of your comfort zone! Lovely post and pics Karen. Look after my ‘potting shed’ if had my name on it. Thanks for sharing your thoughts with us Karen – and well done for following up opportunities that take you out of your comfort zone. Such an empowering thing to do. I am already aware that it would be helpful to contact our local paper about my Open Garden nearer the time, and reading this post makes me think I could also contact our local radio station too. 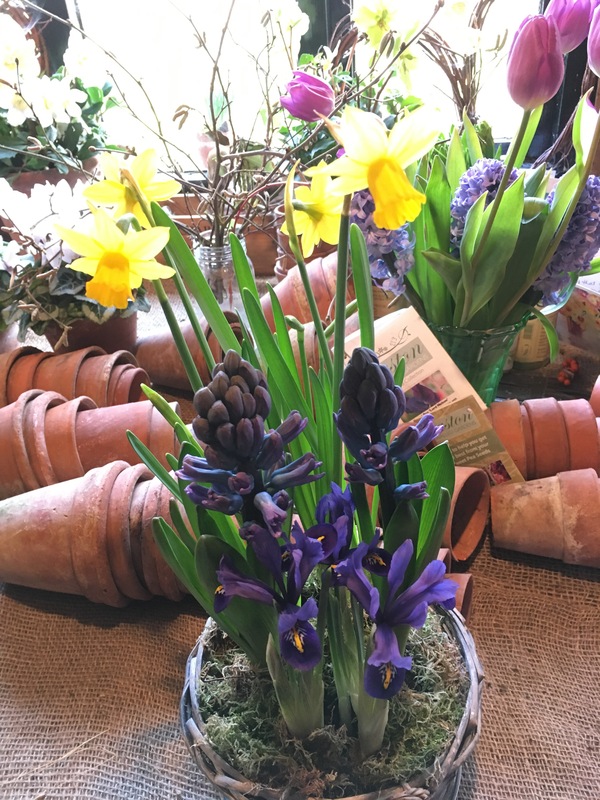 I love seeing your potting shed pictures – and what a good idea to prop up the hyacinths with hazel twigs!